German artist Simon Soltau (aka SiMo Sol) has finished work on an amazing oil painting that pays homage to the classic work of famed artist Alfredo Alcala. I am proud to present the completed painting “He-Man and the Power Sword” – my homage to Alfredo Alcala’s Artwork on the very first He-Man mini-comic cover. The painting is the second Alcala mini-comic cover that I converted into an oil painting. 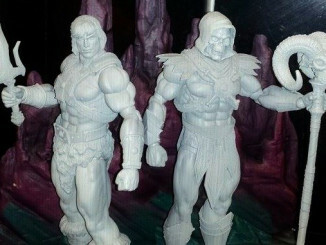 The first one was “King of Castle Grayskull”, which you can find in my Facebook gallery. 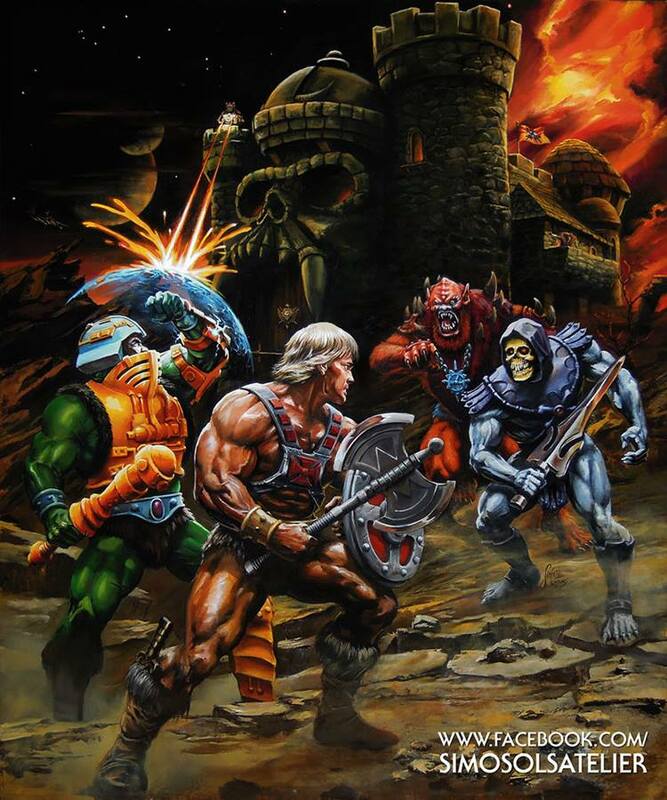 I have been a fan of He-Man since the very first hour and my intention was to combine the beloved first mini-comic covers and the awesome boxart styles of Rudy Obrero and William George, because those were the very first MOTU media ever – and these were the imaginations that caught my eye as a kid. After getting a great response for the first painting I decided to make a second one that was much bigger than the first. Meanwhile more and more German MOTU fans knew my work – so this time the first steps were realized at Germany’s Grayskull Convention in 2014. 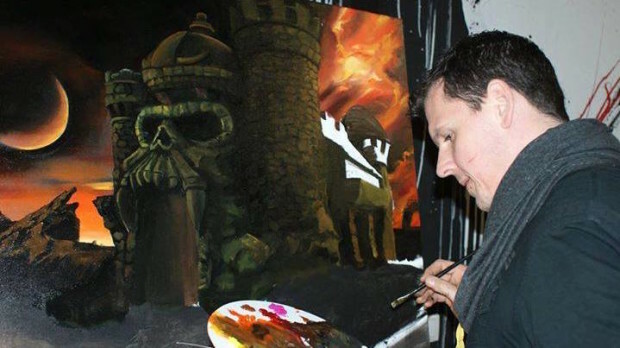 I made a 10-hours live panel painting the background with Castle Grayskull (*photo by Jukka Issakainen). After that – in a process of almost four months – I included the characters. 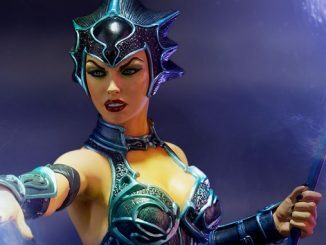 I did it in due consideration of feedbacks by members of the German Planet Eternia forum and some chummy experts like Björn Korthof and Jukka Issakainen – we discussed the question of who will be at the laser cannon for example. You can check out more amazing artwork at the artist’s blog at SiMo Sol’s Atelier.